During the last 18 years, Terry Claassen has helped orchestrate the placement of several hundred million dollars of private and public equity in primarily real estate related entities. From 1985-1994 Mr. Claassen was one of the top Commercial Real Estate Investment Brokers for Marcus & Millichap Inc. of Denver. As a principle of Pacifica Holding Company from 1994-2000, he was directly involved in the development of 2,500,000 square feet of projects and handled the disposition of all the company assets in three separate transactions totaling $500,000,000. More recently Terry has founded TCC Properties, LLC, which has invested in over $25 million of existing projects and new development in the Roaring Fork Valley since 2005. 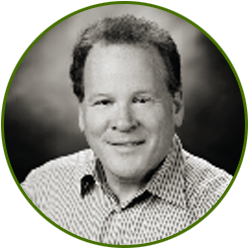 Mr. Claassen graduated from Colorado College in 1984 with a Bachelor of Arts Degree in Economics, He is or has been a member of many real estate, charity and educational boards. Terry is married with three kids. He and his family are full-time residents in the Roaring Fork Valley. Jay has been a licensed nursing home administrator in excess of 25 years and leads the administrative and operational workings of the management company and our contracted facilities. 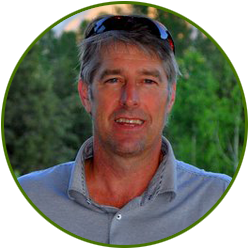 Jay is an experienced business owner and owns two long-term-care nursing facilities in the Denver metro area. Jay combines his broad-spectrum operations experience in the long-term care industry with an active presence and voice in the legislative process, both state-wide and nationally. He is frequently consulted on issues of industry trends and survey compliance. Jay’s facilities have been used as a training ground for federal survey team members. Jay is a Board Member of the Department of Healthcare Policy and Financing Long Term Care Advisory Committee. He is also the Current Past Chairman of the Colorado Health Care Association. Jay serves on the board of directors for numerous not-for-profit organizations locally and nationally. He is the recipient of the coveted Vesta Bowden Award for outstanding service in the long term care profession. Jay has been presented a “Lifetime of Service” award from the U.S. Department of Health & Human Services. John Brammeier is a certified public accountant and holds the position of Chief Financial Officer of QP Health Care Services, LLC, d/b/a Vivage Quality Health Partners (“Vivage”), which currently manages 22 nursing facilities in Colorado and Oklahoma, including five HUD-financed facilities. 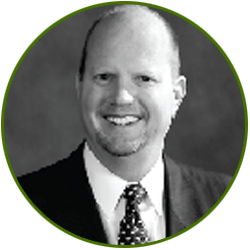 John has 15 years of experience working as the CFO of Piñon Management, Inc. the predecessor of Piñon Management, LLC, and as CFO for QP Health Care Services, LLC, d/b/a Vivage Quality Health Partners (“Vivage”), which currently manages 22 skilled facilities in Colorado and Oklahoma. John is a minority owner of Vivage and has served as an officer for some of the HUD-financed facilities. John is also involved in the leadership of other ancillary businesses supporting Vivage’s mission such as home health, hospice and transitions of care. John has served in the healthcare community for over 30 year as the former President of the Colorado Healthcare Financial Management Association. 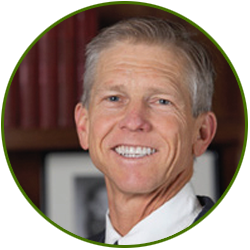 He is a member of the Board of Directors for Colorado Health Care Association, a Fellow of the Healthcare Financial Management Association (FHFMA) bringing 27 years of healthcare financial experience, Medicare Fiscal Intermediary audit experience, and big six healthcare audit and consulting experience. John is a nationally-recognized reimbursement/post-acute care specialist, serving on the American Healthcare Association Finance Committee, and formerly serving on the CARF Financial Advisory Panel. He is active in his work on Colorado reimbursement policy and advocacy, working in partnership with providers and Colorado’s Health Care Policy and Finance Agency (Medicaid). John provides oversight for Vivage’s work with the State of Colorado and Veterans Nursing Homes and is actively involved in the national post-acute care reimbursement policy for the future. John was also recently recognized as a finalist in the Denver Business Journal – C Suite Awards -Chief Financial Officer of the year for 2015. Mr. Leonard is the founder of Pacifica Capital Investments. The firm is dedicated to implementing the same value-based investment philosophy in public equities that he has deployed so successfully in commercial real estate. By concentrating holdings in the best managed companies, investing in only businesses it understands well, and buying stock only when priced at a discount to intrinsic value, Pacifica has generated an impressive track record that has attracted approximately 150 clients and families. Mr. Leonard is Pacifica’s biggest investor in a portfolio valued at over $260 million that also includes the investable assets of Pacifica’s other key executives.